Although I'm looking forward to the warm weather of late spring and summer, with heat comes humidity. And, if you have naturally curly hair like mine, along with humidity comes frizz. Lots and lots of frizz. I have only uncovered one way of dealing with said frizz and that is straightening my hair. But that solution doesn't work so well if I'm planning to hit the pool or the beach. 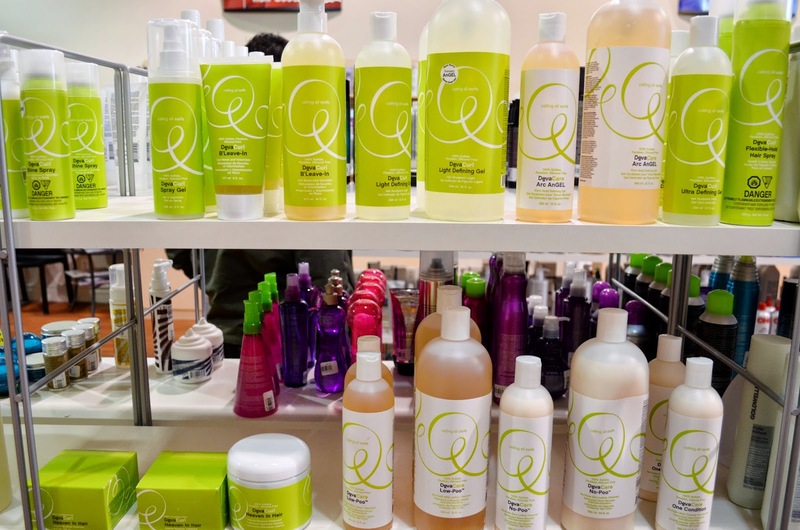 With these problems in mind, I dropped by the Beauty Supply Outlet recently to seek some professional styling aids and advice. I fear my dollar store hair brushes just aren't effective enough to get the job done. At the Beauty Supply Outlet on Bryne Drive in Barrie, Ontario, I was fortunate enough to encounter store manager Helen Minicuci. Helen (who has lovely hair herself I must say) offered me plenty of expert tips for both straightening my hair and protecting my curls in humid weather. On the days I choose to straighten my hair, a great hairdryer is a necessity. But beware - naturally wavy or curly hair is usually dry, according to Helen, so we curly girls shouldn't use high heat for long. Hot air dries hair and can be damaging. Helen recommends blow drying on high heat for a couple of minutes, then putting in a serum to close the hair cuticles and reduce frizz and flyaways. Then switch to warm or cool heat. Helen advises doing 85 percent of the work with your fingers rather than with a brush. "Your fingers are your best asset," she points out. "Using a brush for too long on wet hair can cause breakage and split ends." Use your round brush or large paddle brush for the last few minutes only, pulling your hair straight as you dry. (Section the hair using clips to make it easier.) If you want a super-smooth finish, you'll want to use a flat iron afterwards. Beauty Supply Outlet has a whole bunch of them in a range of prices. As my styling skills are limited, I can't live without my flat iron. I spent a good long time browsing (and sniffing!) the huge selection of shampoos and conditioners too. Summer can't come soon enough! In the meantime, I eyed the O.P.I. nail colours, in a range of summer-friendly shades. Look out for the red dot on store shelves. It indicates a Red Hot Deal, and we all like those, don't we? 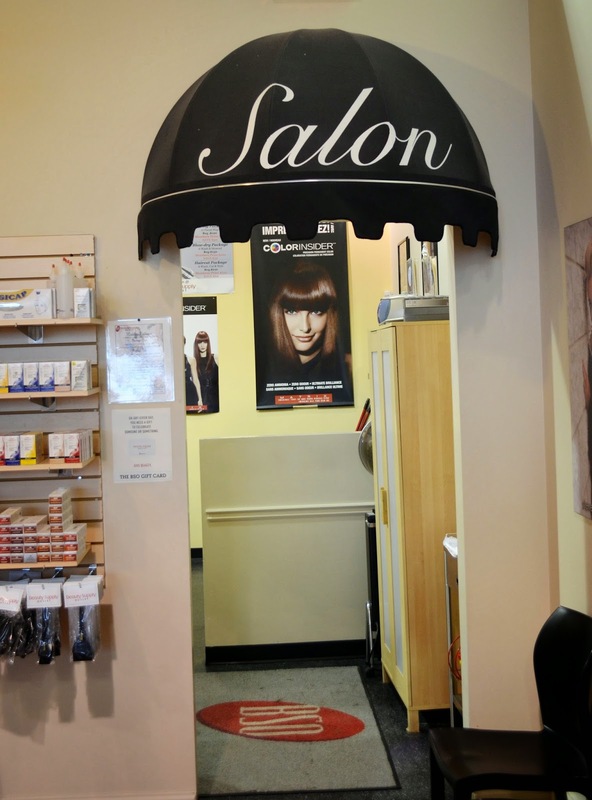 The Beauty Supply Outlet is a one-stop shop for the hair-obsessed girls and guys among us. 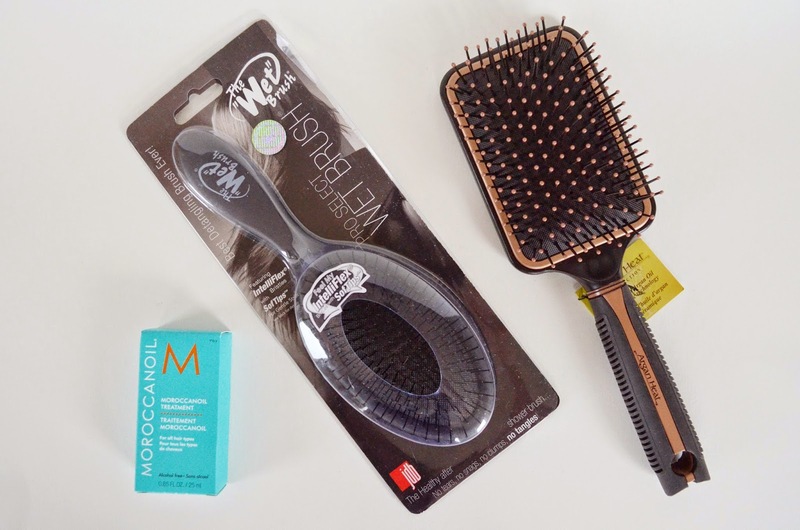 They have a huge range of quality hair care products and beauty supplies. 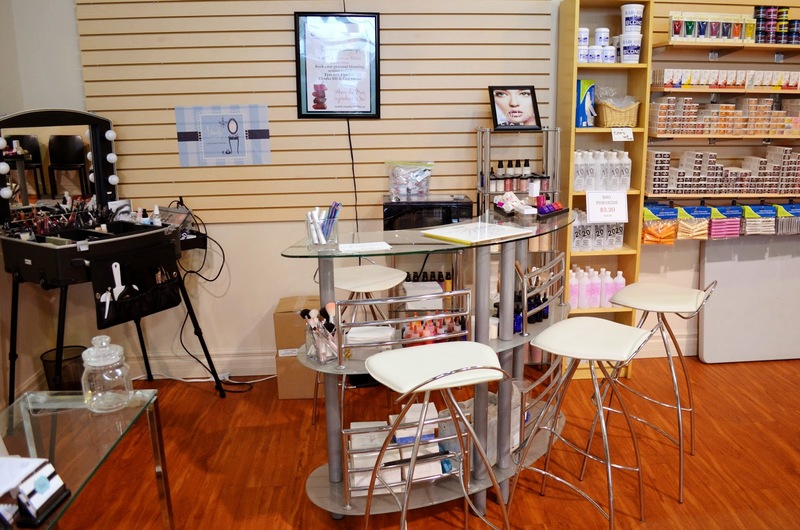 They also offer services such as eyelash extensions, eyebrow waxing, makeup artistry and more. And a full-service hair salon, so you can walk out looking party-ready. I'm not a big fan of round brushes, because I can't seem to handle both a round brush and a hairdryer. Helen says brushes are a very personal thing, and you have to pick the one that suits you best. I chose an Argan Heat Collection large paddle brush that was just new in at Beauty Supply Outlet. It's infused with argan oil and made with ceramic. Helen says it takes the oils from the scalp and distributes them through the hair to reduce frizz and flyaways. If you don't like your brush, Beauty Supply Outlet gives you 14 days to bring it back for an exchange or store credit. Yes, even if you've used it! In terms of a serum to keep the frizzies down, Helen recommended Moroccanoil Treatment, which can be used as a conditioning, styling and finishing tool. For even more styling power, she suggested making a "cocktail" using the Moroccanoil Treatment and a styling cream. I also bought The "Wet" Brush for my daughter. She brushes her hair irregularly and she often has tangles. This brush is wonderful, because she can brush her hair right after washing and it doesn't snag on wet hair. Although I'll still be straightening my hair now and then, Helen had some great advice for those of us with curly hair. "Don't fight the curly hair in summertime. Just go with it," she says. "Use styling cream or apply humidity spray just before going outside." Sign up for BSO's eNews to hear about the latest Red Hot Deals and new products. 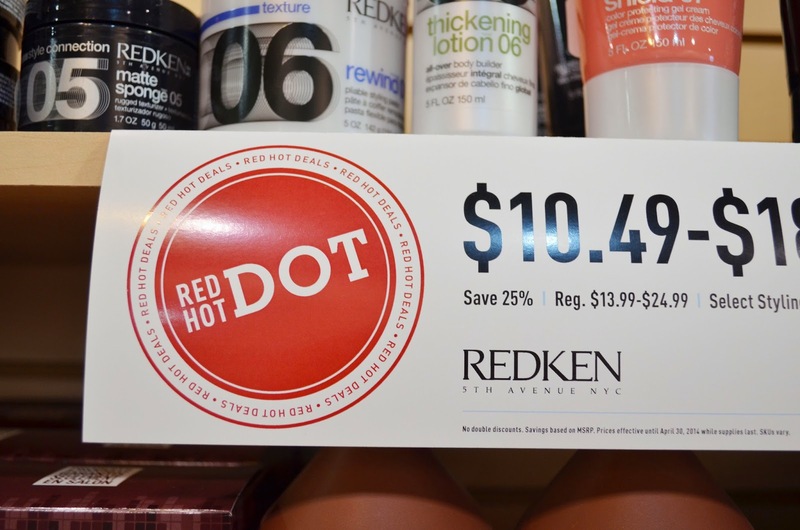 Plus, you can find an Ontario store near you and look for this week's Red Hot Deals right now at www.thebso.com. This post was brought to you by the Beauty Supply Outlet via SheBlogs. The opinions expressed herein are those of the author and are not indicative of the opinions or positions of the Beauty Supply Outlet. I thought it was your daughter in the first picture - you look so alike!!! I would be like a kid in the candy store in there. I would have an awesome time in there! I especially like the red dot specials. I was just looking for certain shampoos (sulfate free for my extentions) yesterday. I'm going to check out BSO right now :) Thank you for introducing me! I love Morrocan Oil. It was introduced to me by my hairdresser that I fired but I kept using the oil...LOL. I guess you win some and you lose some... I am wondering if they have a Beauty Supply Outlet here in London. That looks like a very dangerous place for me to visit! My hair is the exact opposite of yours - straight as a whip and limp. I've been training myself to use a round brush and blow dryer to add some volume It's quite the challenge! Look at how beautiful your hair is! I am a wash and wear kind of girl because I just don't know what to do with all of those products or tools. I should stop in and talk to someone who actually knows what they are doing and can help me out.